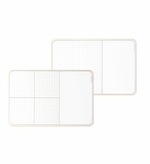 XY Cartesian grid boards. 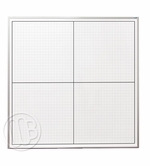 Here at OptiMA Inc. we're proud of the fact that we offer more XY Grid board options than anyone else on the market. 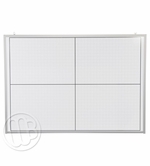 We offer full-sized combination boards with an XY grid on the left side of the board and a plain white writing surface on the right side. 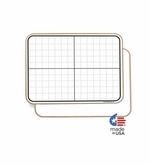 In addition to traditional 4x4 boards, we're one of the only companies to offer a smaller 32" x 45" X and Y grid board in both a magnetic and a more economical non-magnetic format that is small enough to ship by UPS saving you large unnecessary trucking fees. 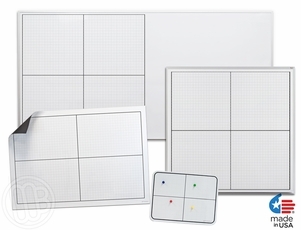 All of our XY grid boards are made with our exclusive OptiPrint™ method that gives you clean crisp axis lines that are permanent and will never rub or chip off. Every board is made in our own factory here in Shrewsbury, MA by skilled New England craftsman. 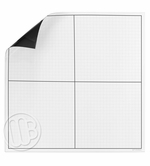 32" x 45½" Board that Ships UPS! 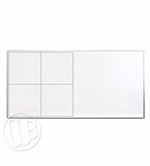 4' x 4' Board that Ships Truck! 4' x 8' Board that Ships Truck!